The by-election campaign is hotting up but there is a remarkable lack of posters. The other parties don’t seem to be bothering with posters at all, so if it wasn’t for the many “Vote Graham Wroe” posters people wouldn’t realise an election is happening. This is the latest offering from the Lib Dems. 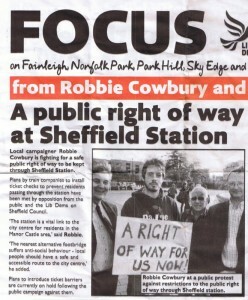 I am very pleased Lib Dem candidate Robbie Cowbury has woken up to the problem at the station. 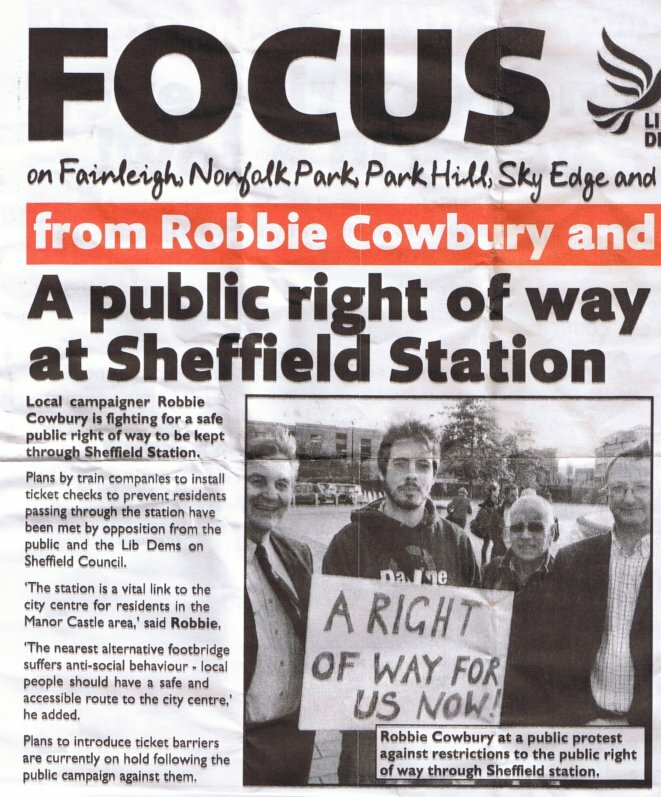 One wonders where he has been for the last two years, as he has not managed to get involved with the Residents against Station Closure campaign. However we will be very pleased to see Robbie at the next meeting, especially if he brings along a small donation for our campaign! That next meeting is Monday 1st November at Victoria Methodist, Stafford Road, to prepare for the next protest which will be on Friday November 5th. See you there Robbie?